Do you wish to fill your kitchen with the aroma of herbs and spices that give to the Puerto Rican cuisine a distinctive taste and color? Here you will find a wide variety of Puerto Rican dishes that will guarantee your family and friends mouth will be watering for days. 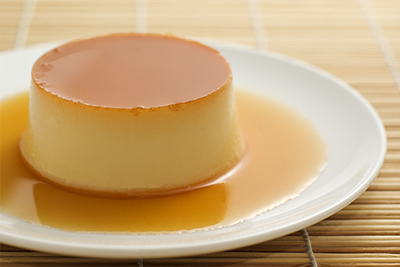 Do you have a good Puerto Rican recipe that you would like to share? Send your recipe. Please note that some recipes are only available in Spanish, you can have them translated using Free Translation. 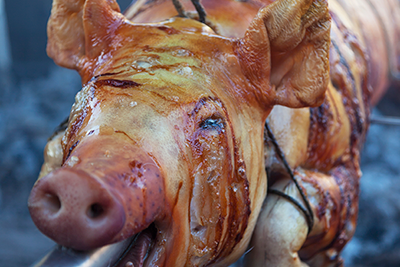 Are you craving for Puerto Rican cuisine, but find yourself far away from the island? Welcome to Puerto Rico! is now offering a list of restaurants, markets, cafes or other places where people can buy and eat Puerto Rican around the world. If you know of a location, please let me know. Are you Looking for Recipe Books Recommendations? Enjoy the island's cuisine at home, get a copy of Puerto Rican Cookery by Carmen Aboy Valldejuli with accurate and easy-to-follow recipes assure the success of every dish. " ...considered today to be the definitive book(s) on island cooking." --Craig Claiborne, The New York Times. The Spanish edition of this book, Cocina criolla will become a treasured keepsake. My mother gave me this cookbook on my 18th birthday and it has been my staple recipe book ever since. 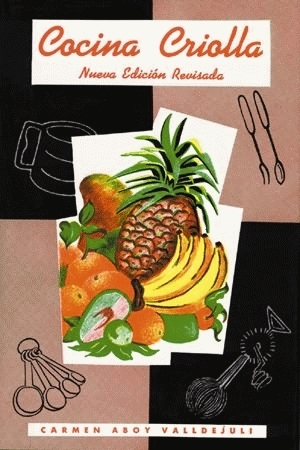 There are also few other great Puerto Rican recipe books that I recommend.